The Apogee MiniDAC is a pro-audio two channel digital analog converter. It received very good reviews when it was first introduced. The price dropped after a few years, making it good value for money. I managed to get hold of one and of the firewire interface board a little later. The firewire board is a BridgeCo design, running an ARM processor. The firewire interface deploys a smart architecture where multiple firewire units can be used together with one unit delivering the master clock to all other units. Due to the firewire architecture the computer’s driver can also be the master. The Apogee driver on OSX by default uses the DAC’s internal clock as external clock input. In this setup the computer audio driver is slaved to the DAC. This would imply that a XLR to RCA adapter would not impact audio quality. The XLR output level can be reduced to consumer audio levels using the internal trim-pots. I suggest using Neutrik XLR to RCA adapters; the cheap ones I first tried, well .. are cheap. The supplied power supply of the MiniDAC is a simple switched type. Internally the Apogee “processes” the voltage from the power supply and converts it to the different voltages internally needed. This DC-DC conversion uses a high frequency switcher and small transformers. 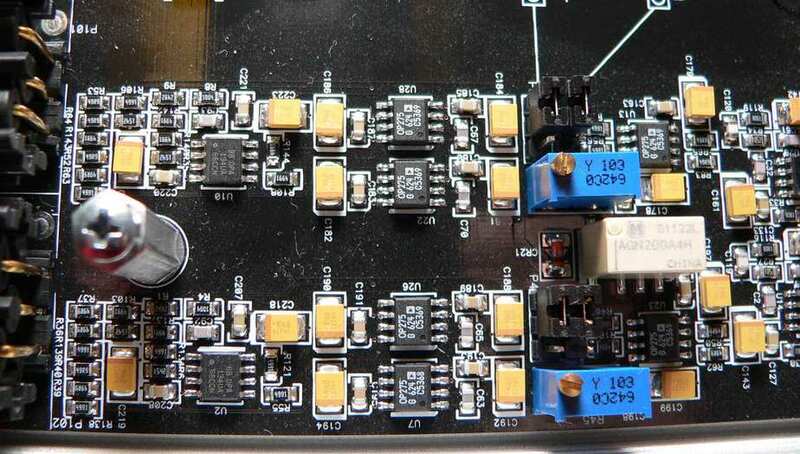 So in principle it does not matter what type of external power supply is used since the internal DC-DC conversion completely isolates the external power supply from the internal electronics. However many people replace the external PS and mention noticeable improvements. I think that they are right, but not because the voltage “quality” has improved. I think they are right because any switched mode PS produces a certain amount of HF radiation and often has considerable leakage from primary to secondary. The wires connecting the PS to the MiniDAC act as an antenna, making things worse. You can test this yourself: measure the voltage between the MiniDAC’s enclosure and ground with a digital voltmeter. Then replace the power supply with a linear transformer based one and measure again.